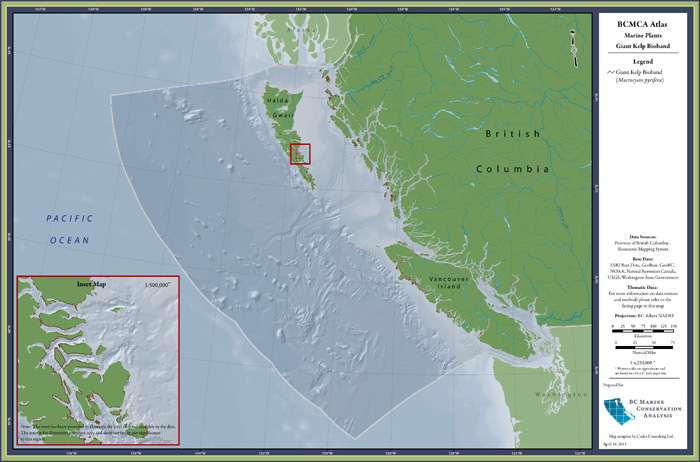 description — Giant Kelp (Macrocystis pyrifera) is perennial and beds are generally found in semi-protected areas as well as some semi-exposed areas. It is not found in areas of warm water with low salinity. 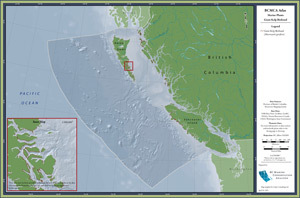 This data layer was developed from the BC Shorezone Mapping system.